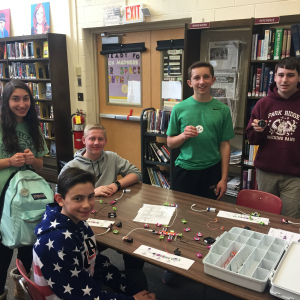 In our second year of NJMakersDay participation, BELS libraries brought even more energy and enthusiasm to the table. 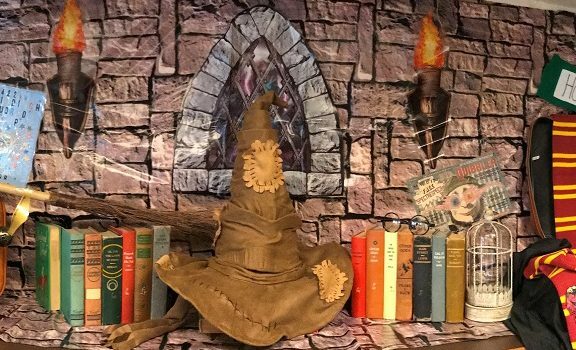 Our media specialists put a lot of time and effort into their programs and as you can see from the photos below, the rewards -measured in student engagement and satisfaction- were great. 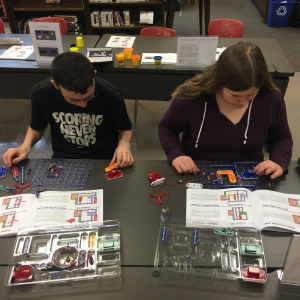 Take a look at what went on in our libraries in preparation for MakersDay and feel free to reach out to the librarians with follow-up questions so you can plan your own creative and valuable MakerSpace lesson. 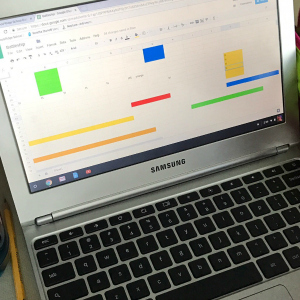 The Zombie and Alien Invasion activities can be found in the BELS shared Lesson Plan folder. 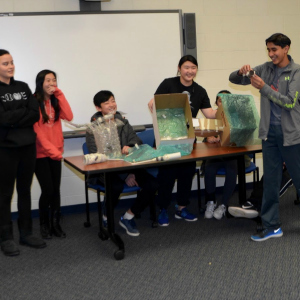 On the Old Tappan campus, 412 Biology, Tech Ed., and Art Students survived an “Alien Invasion.” Students played the role of survivors set in a futuristic Bergen County. 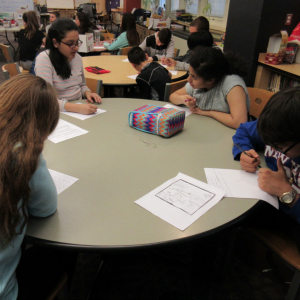 Each group had a task that would contribute to rebuilding a sustainable community while protecting against the alien invaders. 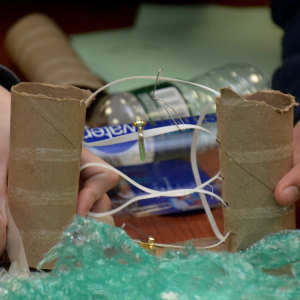 They created shelters, farms and food storage, energy producers, security devices, healthcare, and waste management systems. 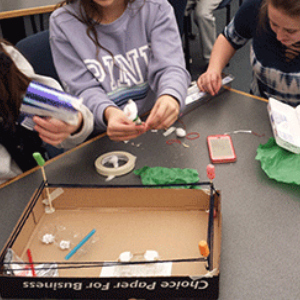 Using their ingenuity and boxes, egg crates, and straws, held together with string, paper clips, and hot glue, the groups coordinated their inventions so they could help one another and develop a sustainable community. 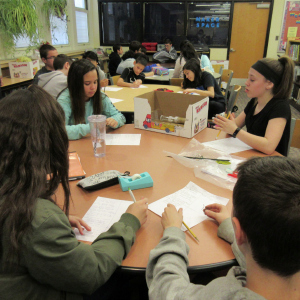 Janice Cooper’s role as the Library Media Specialist was to adapt the invasion scenario to Bergen County, plan with teachers, collect the materials and tools, introduce the scenarios, re-organize materials between periods, and take a million pictures! 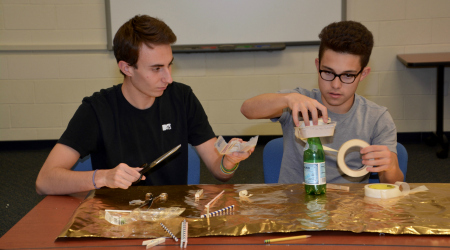 On the Demarest campus, students had a similar experience on MakersDay, where they survived the “Zombie Apocalypse.” Students from each class were split up into 3 teams & represented one of the homes left to battle the zombies. 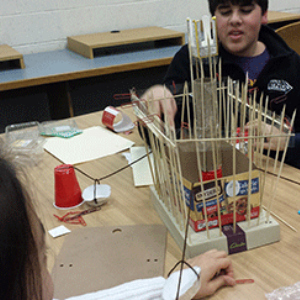 Each team was in charge of different aspects of survival: Food/Shelter, Security/Waste Management, and Healthcare/Energy. 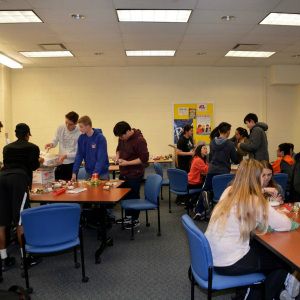 Quite a few teachers from NVD donated materials to the cause including egg crates, styrofoam, paper towel and toilet paper tubes, bottle caps, empty water bottles and bubble wrap. 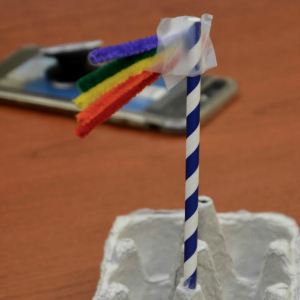 Students used these materials as well as straws, pipe cleaners, tape, hot glue and some additional materials to create a variety of contraptions. 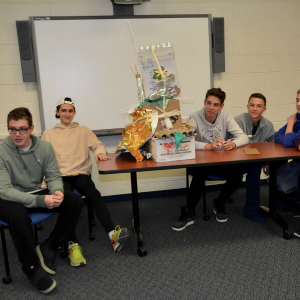 Courtney Reinfried, Library Media Specialist at NVD, was most impressed by the incredible amount of creativity the students displayed & the fact that not one class tackled the problem the exact same way. 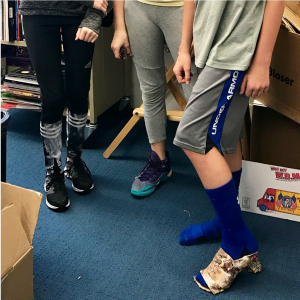 Though given the same materials, each class had their own favorites. 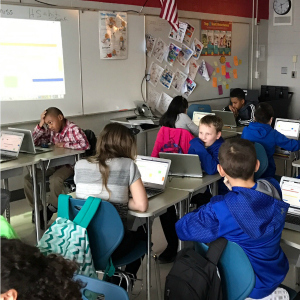 Teachers mentioned that some of the students who were the most engaged and enthusiastic were the ones who are often quiet in the classroom. 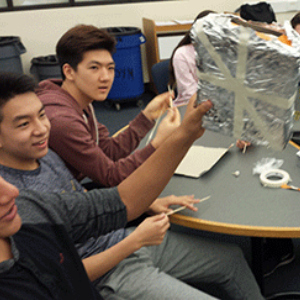 That is one of the wonderful aspects of MakersDay – the ability to explore new things and think outside of the box. 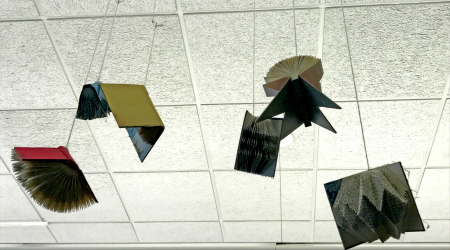 In the Jr/Sr HS, the Zombie Apocalypse was quickly approaching the Library Media Center. 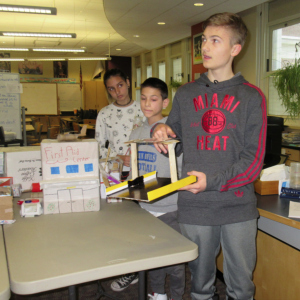 Students from Mrs. Layman’s 8th grade Careers and Resources class brainstormed ways to create a society with secure parameters protecting the residents from Zombie attacks. 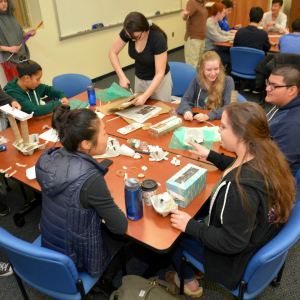 Working with five teams and with only recyclable materials, students constructed linkable tree houses, a multi-level hospital with portable emergency pacs, a greenhouse powered by the energy devised from solar and wind power and a waste disposal element that aided in harnessing energy. All students contributed to defending their society against any breaches in the parameter. 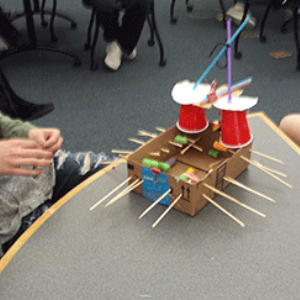 Weapons included hatchets, flaming spears and launchable spear balls. 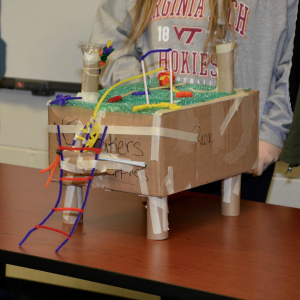 At the conclusion of Maker’s Day, students analyzed the Zombie Challenge. 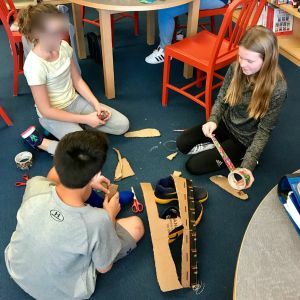 The students wrote a summary on what was most successful,and how they could improve on the 2018 Maker Day Event. 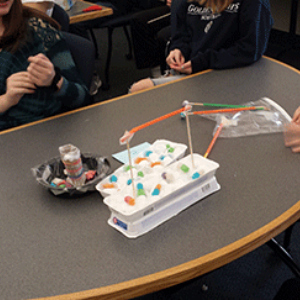 Overall, team building and creativity were the top skills employed during the event. 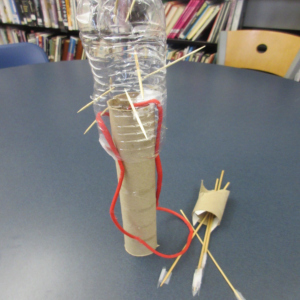 Andrea Romano conducted a variety of Maker activities in the last few weeks. 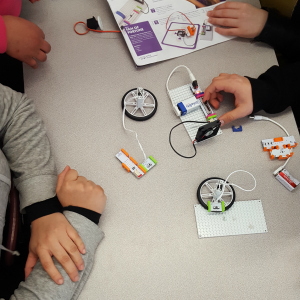 Using the BELS MakerKit-BotsKit version, the students at Cliffside Park were able to test out a collection of new and exciting robotics and circuitry kits. 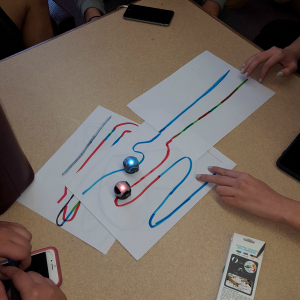 As you can see from the pictures, kids in study hall loved the Ozobots! 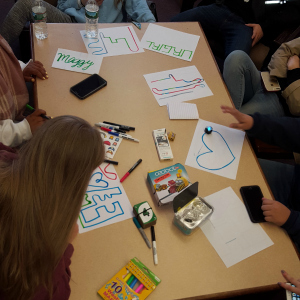 In the Algebra II and Geometry classes, Ms. Romano presented them with everything from the kits and they then formed small groups to play with LittleBits, 3Doodler pens, mBots and more. 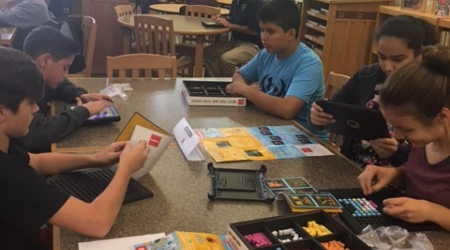 Those classes also used the kit’s VR glasses to view a few different apps, explored using tinkercad to create 3D models, and tried out lego mindstorm. 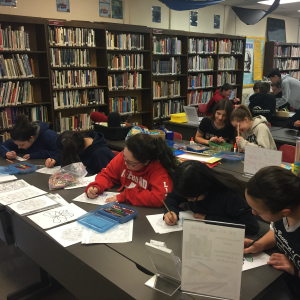 Ms. Romano also did a BreakoutEDU lesson with a World History II class. 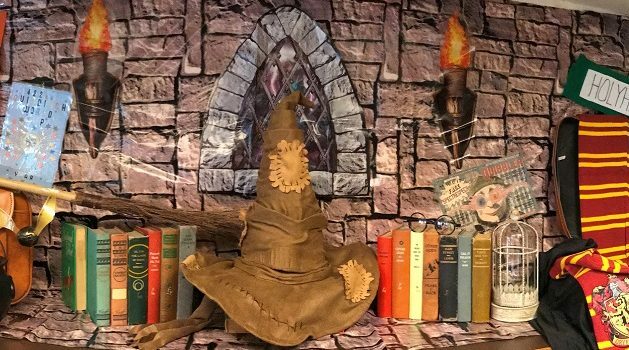 It was a lot of planning but they loved it! 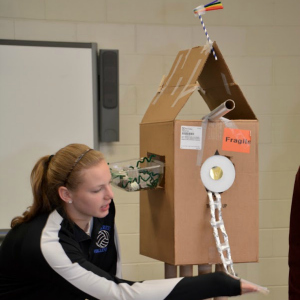 Over in Park Ridge Jr/Sr HS, Katie Nellen organized March MakerSpace Madness. 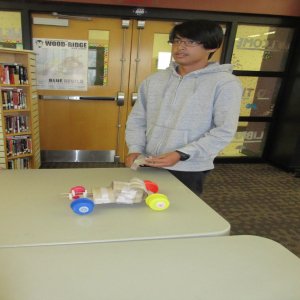 Every few days a new activity was made available to students in the library media center. 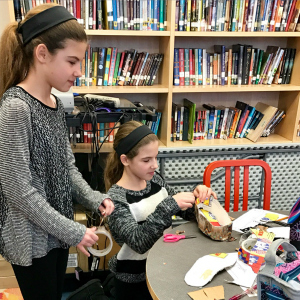 Starting with coloring using adult coloring pages or bookmarks, then adorable animal origami, and followed by duct tape crafts, Park Ridge students had a variety of artistic projects to choose from. 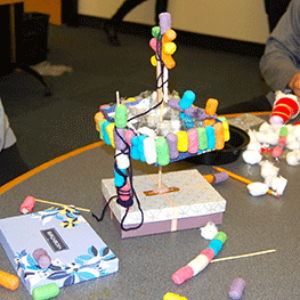 Throughout the month, the media center also displayed their Squishy Circuits, LittleBits, and Snap Circuit kits. 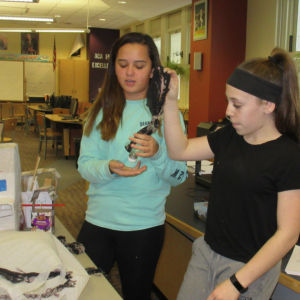 On March 24th, the official beginning of NJMakersDay, students participated in the state-wide Tiny Dancer motor project. 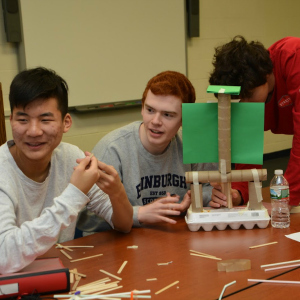 We hope you’ve gained some inspiration from this year’s NJMakerDay activities, and look forward to your participation next year!